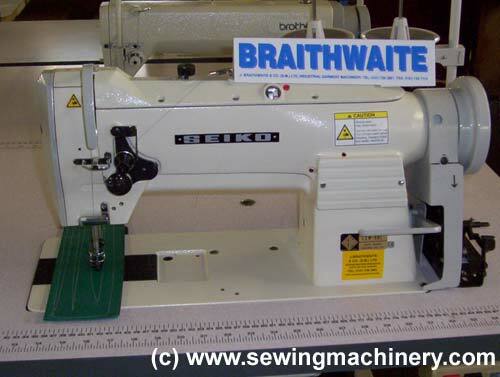 Braithwaite's have been supplying the Seiko model LSW-8BL for many years and during this time it has proven itself to be a versatile and reliable single needle, needle feed, walking foot machine. It is suited to sewing medium and medium-heavy weight fabrics such as leather, vinyl, canvas and general upholstery materials. 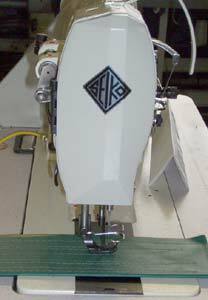 Our customers include furniture makers, car manufacturers, re-upholsterers and leather workers etc. The Seiko LSW-8BL has been reintroduced to the market and is available along-side the new style LSWN-8BL model walking foot machine.